Sometimes you need to find the IP address of your main server. If you have a dedicated server or vps it’s very likely you already know the IP address. However, if you are on a shared hosting plan, most of the time you’ll not know what your server IP address. The IP address of your server can be found by logging into your cPanel control panel. 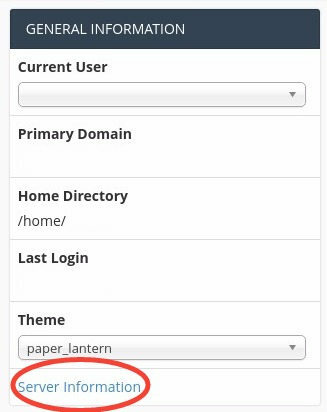 If you are using Paper_Lantern theme, move to your right sidebar. If you are using old x3 theme, move to your left side of your control panel, try to expand your stats to see the full server information by clicking ‘Server Information’. 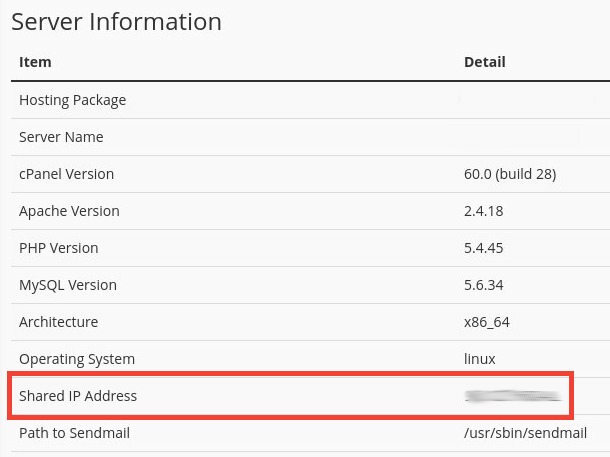 The IP address listed in the server stats that you see, is the main shared IP address of your server where you are hosted. That’s all, now you know how to get your server IP address from your cPanel control panel.